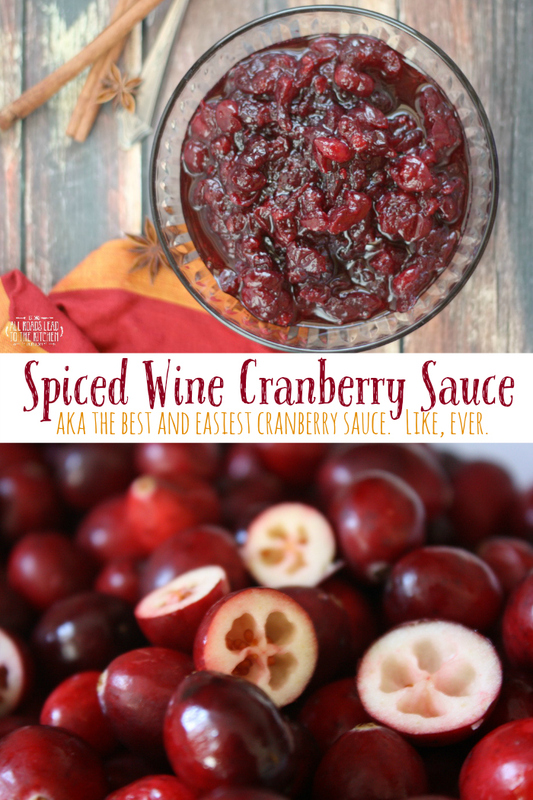 Spiced Red Wine Cranberry Sauce aka The Best (and Easiest) Cranberry Sauce. Like, ever. 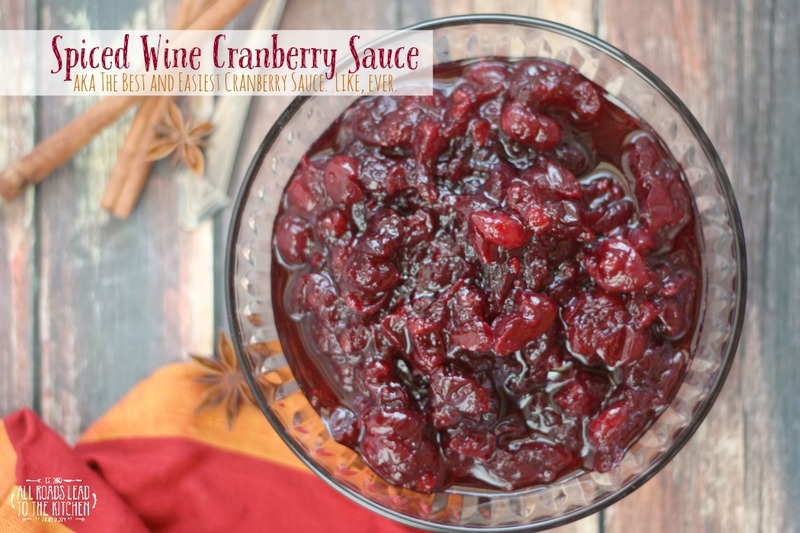 Growing up, I used to cringe at the thought of eating cranberry sauce. I would say I didn't like it, but honestly, I can't remember even trying it. The thing is, the one on our Thanksgiving table was the kind that was still in the shape of the can. My grandma had a special crystal dish that she served it on every year. The dish was rectangular and the cylinder of gleaming red jelly fit perfectly on its side, then somebody would slice it. It just wasn't appealing to me. This is my family's favorite version; I've been making it for almost 20 years now. Even though I still like to experiment and try new flavor combinations, you'll always find a batch of this on the table—it has four generations of people who look forward to it! 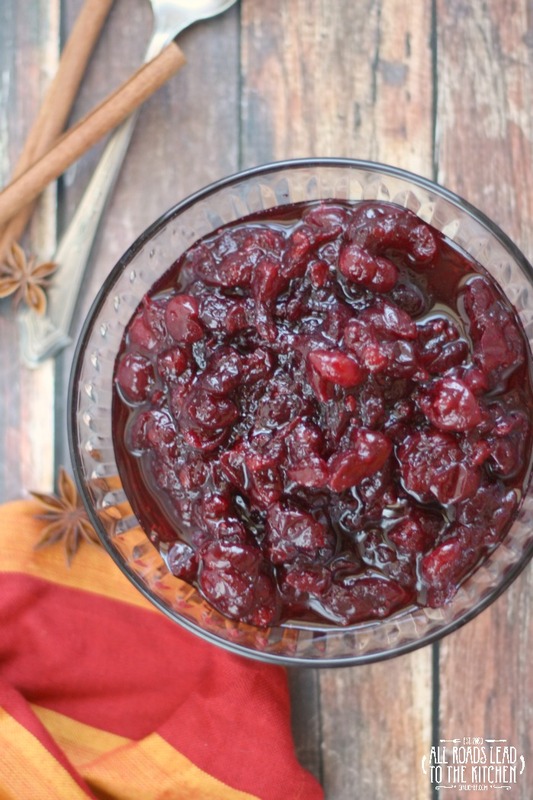 Red wine, cinnamon, and star anise elevate this simple cranberry sauce to a whole new level. Combine the wine, sugar, cinnamon stick, and star anise in a medium-sized pot over high heat, stirring until sugar is dissolved and the wine just comes to a boil, ~3 minutes. Add the cranberries to the pot, then reduce heat to medium-low. Simmer, stirring from time to time until the cranberries just begin to pop, ~5 minutes. Remove from heat and allow to sit until cooled to room temperature. At this point, you can transfer it to a bowl or container with a lid and refrigerate for up to 5 days. Remove cinnamon stick and star anise before transferring to a serving dish. Serve warm or cold (I love it warm). This recipe doubles well - I know because I ALWAYS make a double batch. Sometimes I add a pinch of vanilla sea salt in with the sugar. It's not necessary, but if you have some hanging around anyway, give it a try.